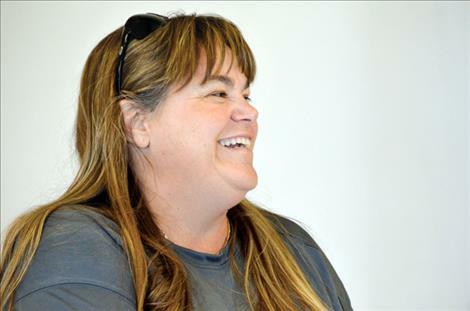 Karen Peterson photo Susan Carney-Lammerding was named Montana Elementary PE Teacher of the Year. 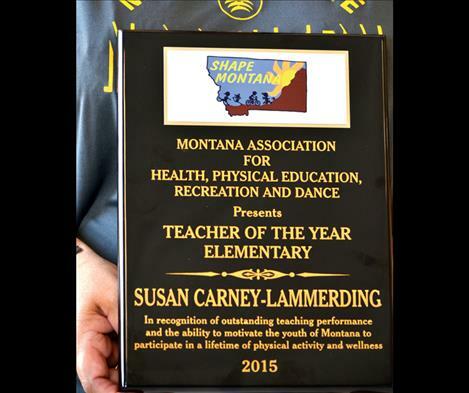 ARLEE – On Thursday afternoon, Susan Carney-Lammerding took a moment to take the plastic off the plaque she was given as the Montana Elementary PE Teacher of the Year. “This wouldn’t happen without the kids,” she said. She received the award from the Society of Health and Physical Education on Aug. 5 for her dedication to teaching, and she now qualifies to compete for the Northwest title. The students might not recognize her full name engraved on the plaque. 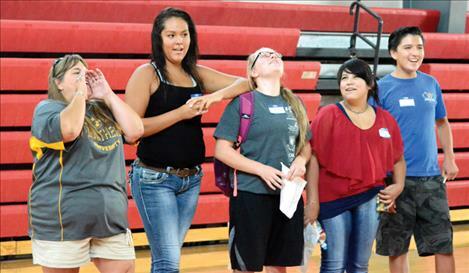 She put the award down when half-a-dozen Arlee students walked into her room needing help during freshman orientation. The students had to show school spirit as part of a project. Carney demonstrated the cheer before she let the kids try. “Nope, try again,” she said as they quietly finished. After about five rounds, the kids finally hit the high note. As the students left, she explained that teaching requires involvement. She exhibits a level of energy that seems like it might be induced by an energy drink. Although, she does need a break. “I’m exhausted at the end of the day,” she said. It’s easy to understand why she might be tired. After a long day of teaching, she has several more jobs. 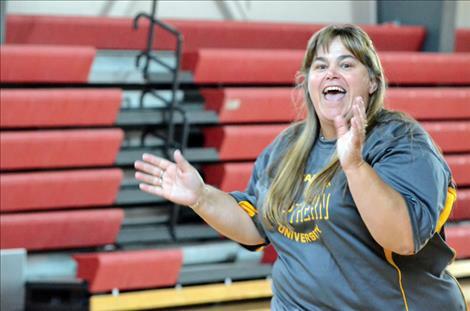 She teaches driver’s education, substitutes as a bus driver on occasion and coaches junior high basketball. She almost didn’t become a teacher after getting her teaching degree. Nellie Desjarlais, a high school freshman, remembers Carney’s elementary PE class. Brendan Ryan also remembered her class. “She is a fun teacher, but she is stern when she needs to be,” he said. Carney received the award for her work as an elementary teacher, but she also teaches high school students. “I’m looking forward to this year,” she said.